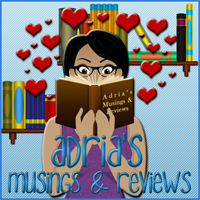 Adria's Musings and Reviews: Waiting On Wednesday: A Beast of a Book! This week's pre-publication "can't-wait-to-read" selection is: Darling Beast by Elizabeth Hoyt. Who am I kidding? I'm obsessed with the Maiden Lane series and each book has just gotten better and better! I'll admit to a long standing curiosity/crush on Apollo Greaves from the very first time he appeared. I did a little girl squeal (not a common occurrence for me) when I found out he was going to get his own book and that The Maiden Lane series would continue on for at least a little while longer (*cough cough* Asa Makepeace). I have such high hopes and expectations for this book! London’s premier actress, Lily Stump, is down on her luck when she’s forced to move into a scorched theater with her maid and small son. But she and her tiny family aren’t the only inhabitants—a silent, hulking beast of a man also calls the charred ruins home. Yet when she catches him reading her plays, Lily realizes there’s more to this man than meets the eye. Though a scorching passion draws them together, Apollo knows that Lily is keeping secrets. When his past catches up with him, he’s forced to make a choice: his love for Lily…or the explosive truth that will set him free.